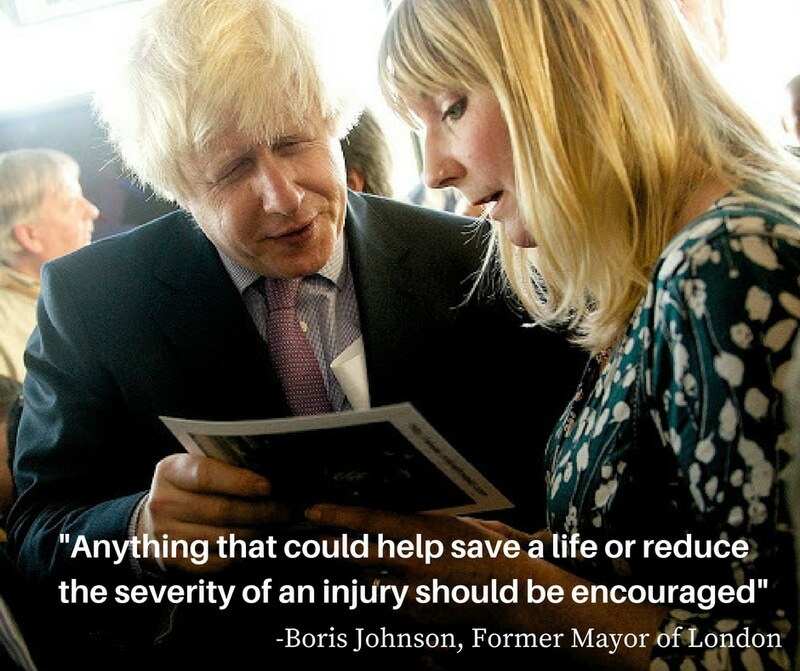 Onlinefirstaid.com have thousands of extremely happy customers all over the globe from the UK and USA to Nigeria, India and Egypt. 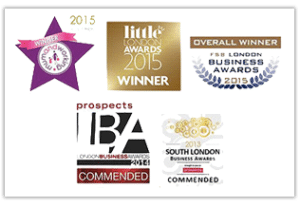 We have students who are; parents, grandparents, teenagers, teachers, nannies, child carers, childminders, sports professionals, corporates, small businesses, charities, and those with English as a Second Language and the reviews have been outstanding! I have just completed the paediatric online course. It was well thought out, easy to use and extremely informative. I now feel I have the skills and confidence to cope with an emergency if one arises when around my children or their friends. Everyone should do this course if they have children. I was surprised at how detailed the whole course was with quizzes and videos it was all self explanatory. Being a carer and a full time mother to 6 children I have never had any me time to do any thing, it is such a big achievement, with a certificate at the end. The service I received was prompt and helpful would like to thank the on line team for all support. The quality of this course is, in my opinion, excellent. Teaching and practical interpretation is very easy to understand. For me, as a non-native English speaking individuals, this course is an excellent source how to obtain the necessary knowledge in this area and their potential use in practice. This course is the most precious I have ever taken; very useful, informative, and I really liked the style of presentation. It usually targets the important points and doesn’t include paragraphs of details we don’t need to know.. I am planning to attend the practical course in UK once I’ve finished the online one. Thank you. I really enjoyed the course and the more I did the more I enjoyed it. Very well thought out. I feel as though I really learnt something very valuable. Thank you for the course, it highlighted a lot of things I did not know, I particularly liked the DVD on Diabetes. Once again thank you I will be telling my workmates how good it was. Found this Online course very helpful, we are looking to role these out for additional training to complement our Level 2 and Level 3 FAW courses. Very well put together and a valuable training resource. I enjoyed this course and it certainly confirmed my own teaching. I am so pleased you suggest calling for an ambulance so early I do too, we need that time; it was a good course, I will certainly recommend you to students, thank you. Brilliant course recommend to everyone that has children or works along side them as well as adults, brilliant! Never thought I could absorb, understand and retain so much information but the First Aid course was structured in such a way as to make this far simpler for me to achieve. A good course with visual resources that were current and relevant. I think this service was very useful in helping me with my job. Excellent and informative course, took no time to do. Interesting, relevant and easy to follow and to memorise important info through repetitive questions. I have recently completed the on-line Essential First Aid course equivalent to 2 hours CPD. I did it at one sitting as I found the mix of videos, quizzes and basic information pages held my attention. Emma’s style as trainer is non threatening and empathetic. Her advice is practical and presented in a manner which makes it both helpful and memorable. I was thrilled to get my certificate at the end. I would heartily recommend this course to others. I found it very clear and accessible. The tone was just right, everything explained in easy to understand terms but without condescension. I would strongly recommend this course, particularly for anyone who has responsibility for young children. Have been on the St Johns Ambulance 3 day courses and 2 day refresher courses over the last 20 years but have learned so much more on your course. Really enjoyed the complete course, you are an excellent teacher 5 stars all the way. 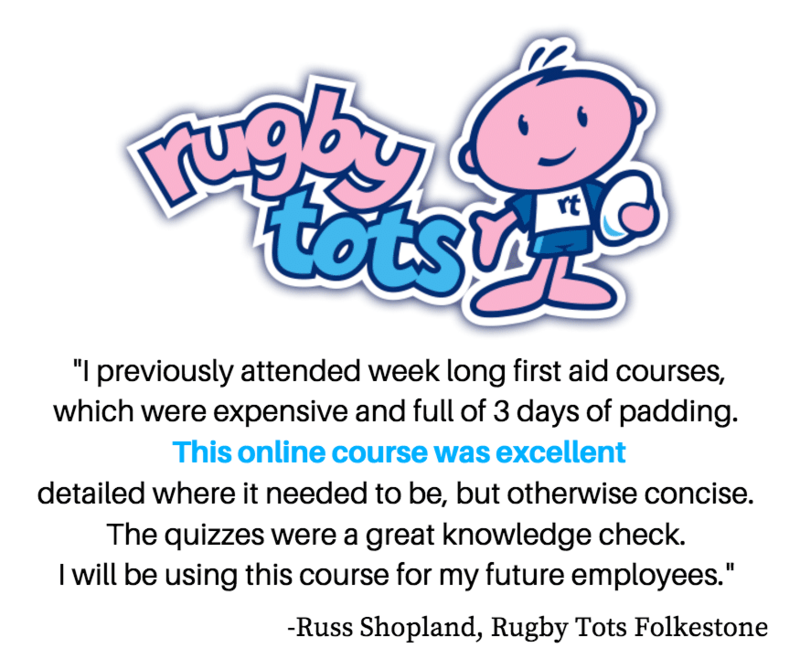 I found the Online First Aid courses that I completed were excellent and are a brilliant way of keeping up to date with most recent protocols and developments. Protocols often change between practical hands on refresher courses , so it’s good to know that there is an online facility to keep you constantly refreshed and up to date. Our Free Choking Course is always popular and takes you through the steps to help someone who is choking. We have more than 30 new users completing the course every month and we’re delighted that lots of these new students have signed up to our other courses and recommended us to friends and colleagues. The free course on choking was excellent, especially the video. Clear and well explained, with plenty of repetition to help the important parts stick, and even a few laughs! Thanks, Emma, I shall definitely be looking at the other courses. This is an excellent course which is set out in an clear, precise, informative and effective way. Already recommended to various departments in our company and the icing on the cake, its free. The free course on choking is excellent, it’s so easy to follow and even easier to remember and it’s great there’s a quiz at the end. I feel confident now if I was ever with someone choking. Looking into the other courses now.